Order in next 3 hours and 25 minutes for despatch today. 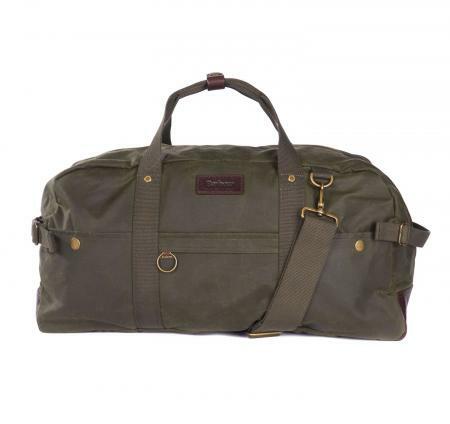 Men's Barbour Gamefair Holdall is available in navy blue or their archive shade of olive green. This bag will hold everything you need for a weekend away. Barbour's Gamefair holdall is cut from their signature waxed cotton fabric and is lined with a cotton tartan. Featuring a zipped main compartment, this holdall also boasts three functional pockets at the front. An adjustable, detachable shoulder strap gives versatility and the Barbour logo is featured on the front. 100% Cotton. Waxed Cotton Fabric. Make your choice of olive or navy from the pull down menu below.SALE!